Is your child interested in learning to sculpt and make amazing things in clay? 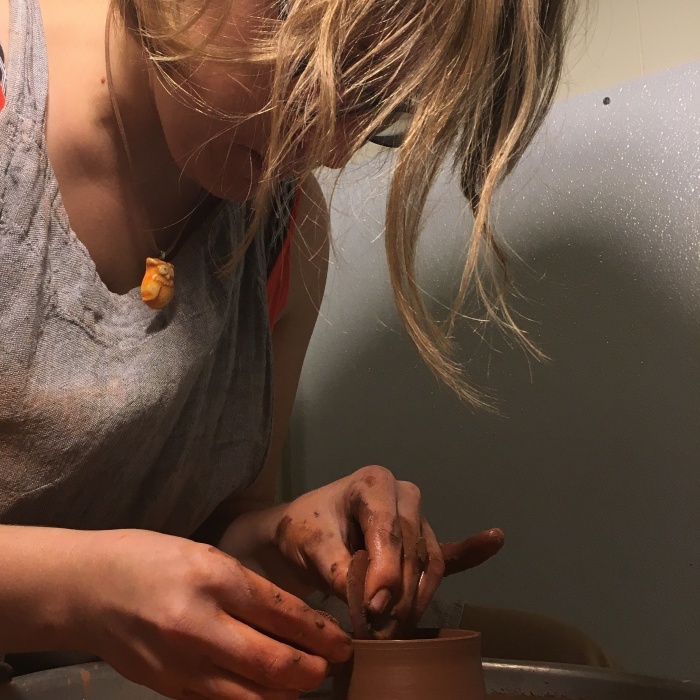 Join us in our historic Clay and Bunkhouse studios where we have been teaching the joy and art of ceramics for over 70 years. Our students learn the foundations of wheel throwing as well as in hand-building. Through fun imaginative projects that are designed to foster creativity and problem-solving, students will learn how to center, cone, trim, slab build, glaze and prepare pieces for final firings. Our instructors are knowledgeable and cultivate a lively, light hearted, and positive classroom atmosphere. Ideal for students ages 10-14, this course can be taken again and again. Looking to round out your child’s hands on education in making, check out our wood 001 where students explore building objects in our historic woodshop. Sarah Camille Wilson has a BFA from Maine College of Art and an MFA from Syracuse University. She lives in Burlington Vermont, where she teaches a variety of ceramics classes and maintains a studio practice. Sarah's work in clay has taken her to China, India and around the US, and she loves exploring new clays in new places.